A sectoral focus and perspective are seen as essential in anticipating changing skills needs. 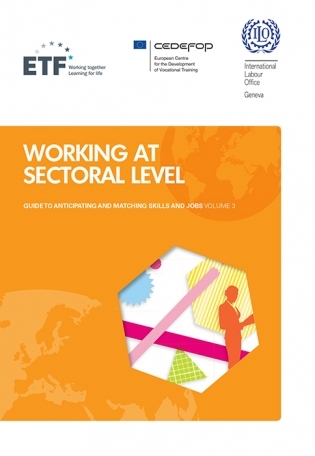 The guide examines sectors as the key points where changes in skills demand occurs, the term sector being used to define specific areas of economic activity. A range of sectoral studies and approaches, using many different tools and methods, has been identified in the guide. Choices need to be made as to which approaches are used: several factors come into play and these are set out in detail. Various methodological options, covering both quantitative and qualitative approaches, are reviewed. Many of the cases considered involve a combination of several such approaches. By providing the reader with concrete examples and case studies, this publication is a tool for employment policy- and decision-makers to understand whether a sectoral approach is appropriate, as well as for technical analysts and professionals who want to know how it should be implemented. It provides an overview of the role of sectoral bodies and what they do in anticipating changing skills needs. The country case studies show how skills are analysed at the sector level in different contexts and conditions.